When building tree houses, you should seriously consider the pros and cons of getting a building permit. For commercial tree houses, you really must get the permit, but if you are building a residential tree house on your property, then you might choose not to. You should, however, be aware that dozens of well publicized battles between tree house owners and their local building department officials have ended with mixed results. Sometimes the authorities force tree house owners to tear down their beloved custom tree houses and pay fines. Other times, the tree houses have remained when variances are successfully filed. However, even in the later case, the legal expenses and time spent defending the tree house can be significant. The first step is to call your township and ask if a permit is necessary. 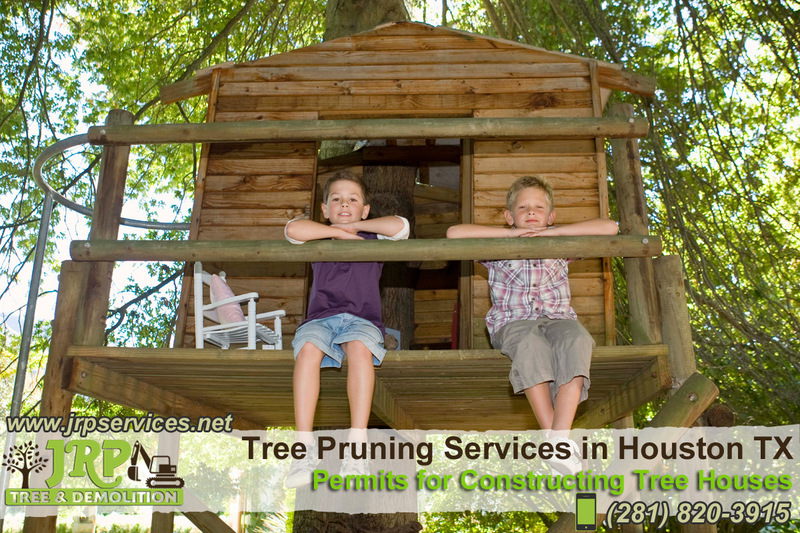 In the hundreds of townships we have called, some of them never require permits for kids tree houses, while some always do. But the vast majority of townships answer that it depends. They may have a list of questions like, “Is the tree house over 100 square feet in floor space,” “Is any part of the tree house more than 15′ high,” “is the tree house less than 20′ from your property line”, “Does the tree house have electricity,” etc., Be prepared to either adjust your plans to keep them within the non-permit limits or to follow through with submitting plans, paying fees, and getting official approval to build your tree house.